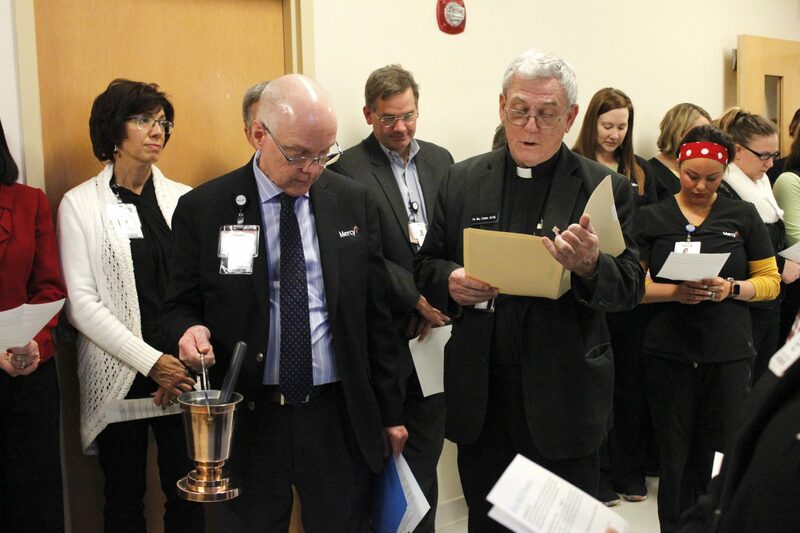 Mercy Hospital South, formerly St. Anthony’s Medical Center, dedicated and blessed their new Mercy Kids ER in a ceremony on Thursday, Dec. 6. 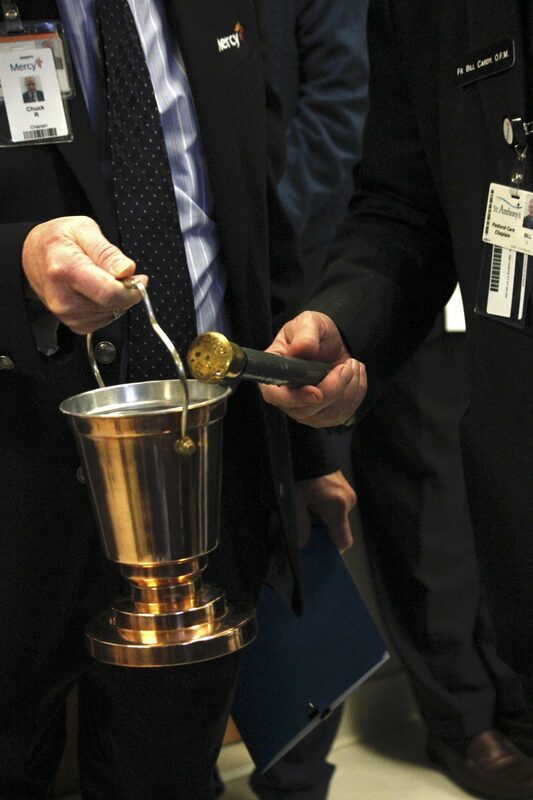 The ER opened in October but underwent renovations over the last two months. 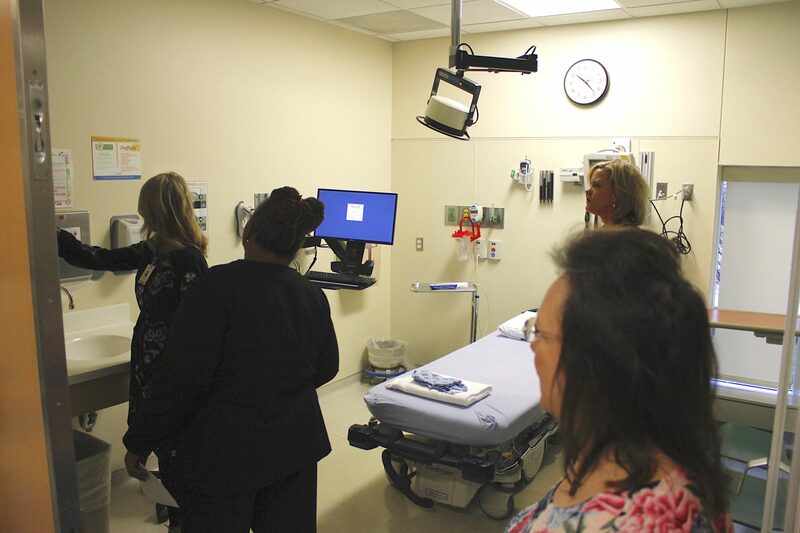 Renovations include new decor and activities inside the room to keep children distracted while in the ER. This helps not only lower the children’s stress levels but the parents’ as well. The Mercy Kids team now also includes Child Life Specialists, trained to help children relax and better understand their treatment. 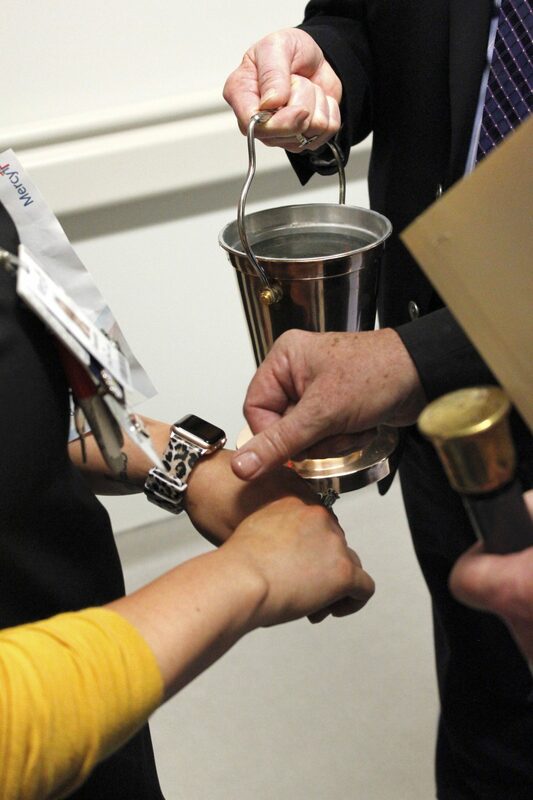 They were also be respiratory therapists for patients with breathing issues. Also part of the renovations are a new waiting room and triage spaces specifically for Mercy Kids ER, as well as six treatment rooms and imaging services. 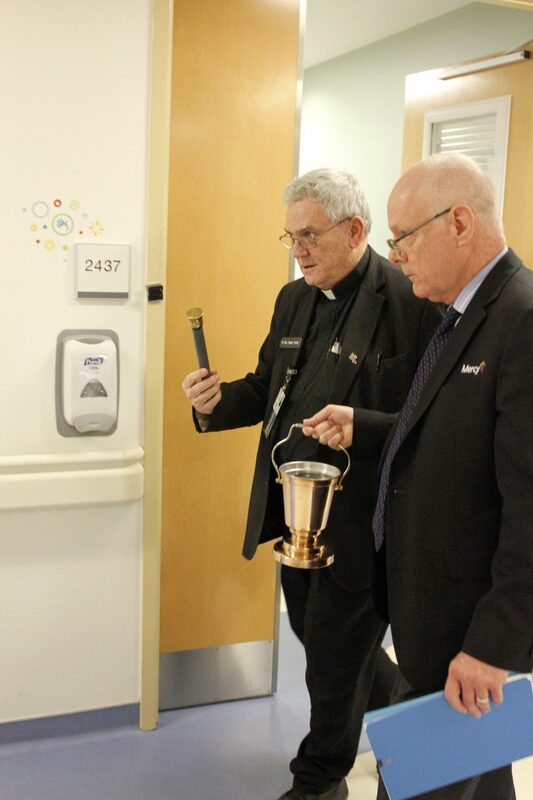 As part of the dedication ceremony on Dec. 6, Mercy Hospital South Chaplain, Father Bill Cardy, blessed the new pediatric ER unit with Holy Water. 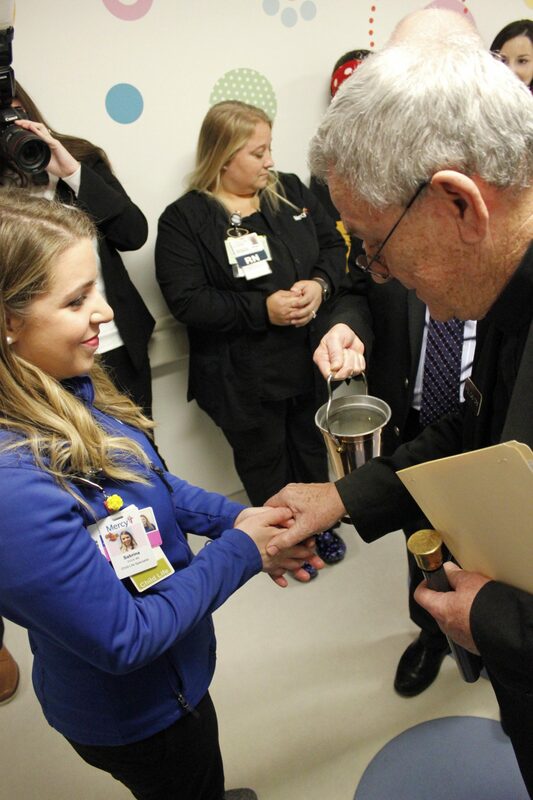 Cardy also blessed with Holy Water the hands of nurses and workers who staff Mercy Kids ER. Take our poll: Should the former St. Louis Rams lose the Super Bowl?